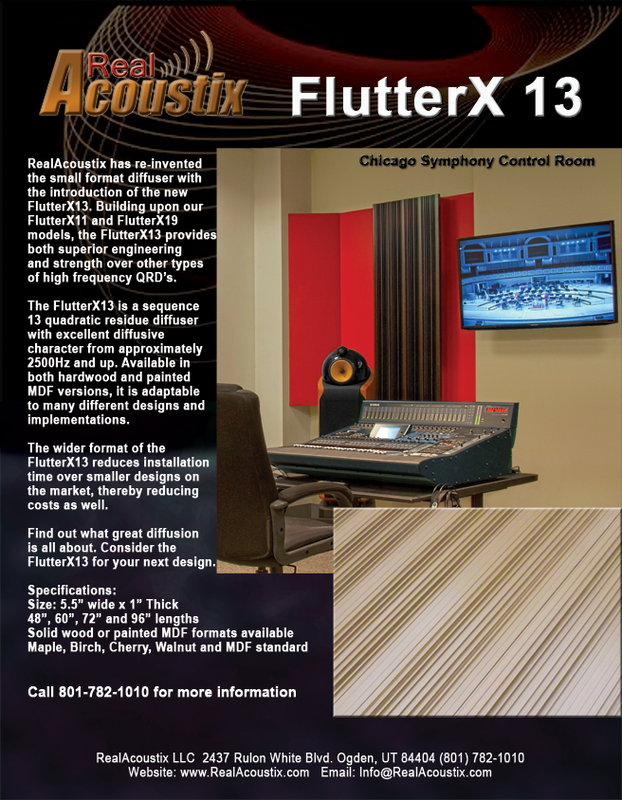 RealAcoustix has re-invented the small format diffuser with the introduction of the new FlutterX 13. Building upon the success of our FlutterX 11 and FlutterX 19 models, the FlutterX 13 provides both superior engineering and strength over other types of high-frequency QRDs. The FlutterX 13 is a sequence 13 quadratic residue diffuser with excellent diffusive character from approximately 2500Hz and up. Available in both hardwood and painted MDF versions, it is adaptable to many different designs and implementations.